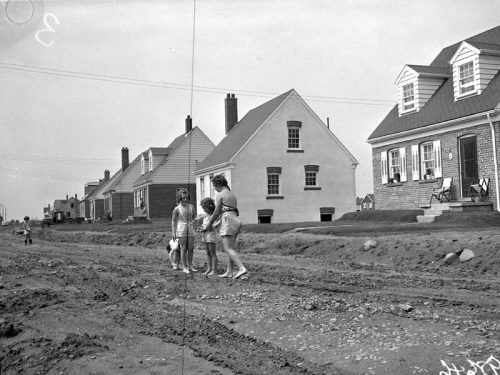 The growing demand for low-cost accommodations brought on by World War II, with the need to house munitions workers as well as returning veterans, led to the federal government’s first direct involvement in new house construction. 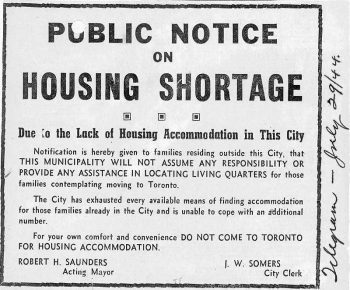 Although the city and neighbouring municipalities were involved in the construction of emergency housing to cope with shortages, it was the federal government that became the major player on the local scene, constructing large tracts of housing in the townships around Toronto. 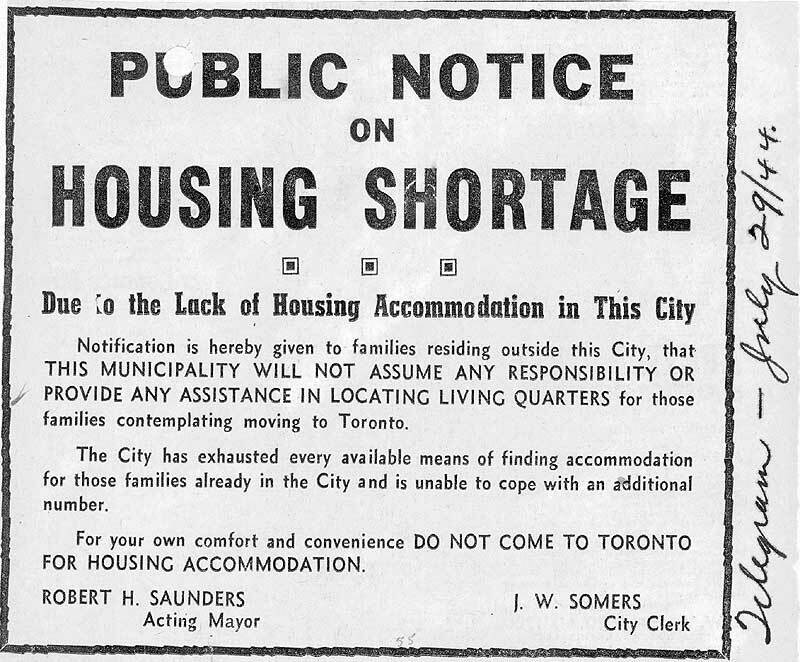 In the postwar period, the federal government scaled down and finally withdrew from its housing programs, leaving the provision of housing to the private sector.